​“A LOW COST WAY” TO BUILD YOUR BUSINESS! 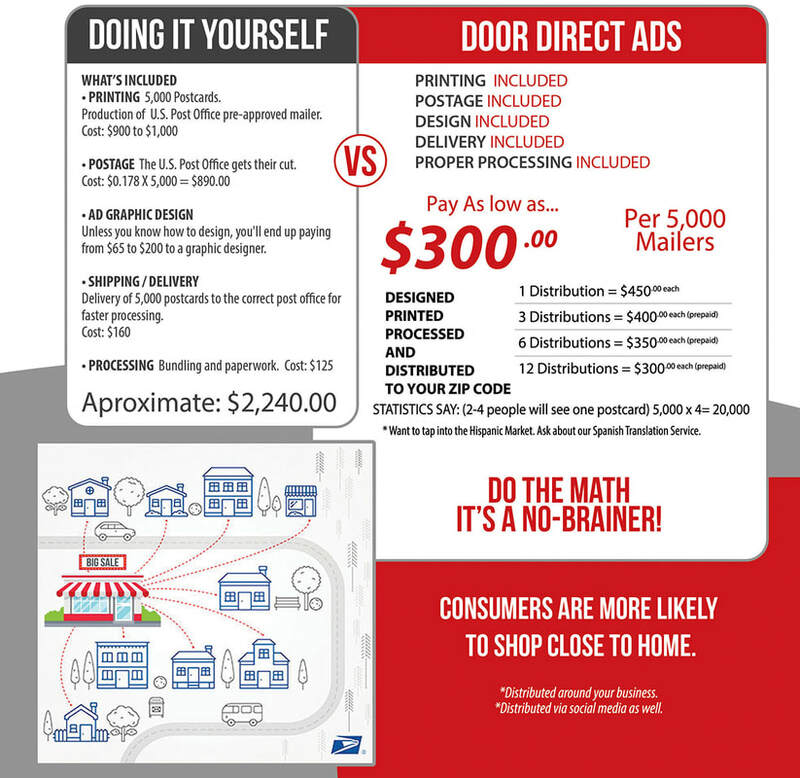 With Door Direct Ads you don’t have to spend a lot of money to make money. ​Lock in your position, before your competition locks you out!